Botox and fillers are both non-invasive ways to achieve a more youthful and attractive face. Whether the problem is fine lines, deep folds, lack of facial volume, or sagging skin, these injectables may be able to help. 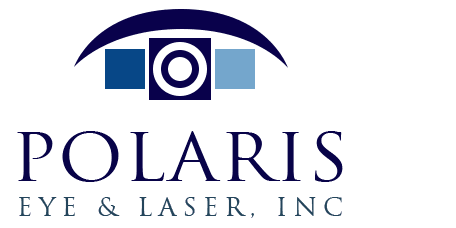 Dr. Jeehee Kim at Polaris Eye & Laser in Los Gatos, California is ready to customize a treatment plan for each patient. Botox is a non-surgical wrinkle treatment that ranks as the most popular cosmetic treatment in the world today. Botox is injected into specific facial muscles so it can relax lines and wrinkles. Botox stops the muscles from contracting, which in turn prevents the lines and wrinkles from forming during those contractions. This treatment can greatly reduce lines and wrinkles, or even cause them to vanish completely for many people. Millions of people use Botox to help them regain a younger, less tired, and more refreshed appearance. Botox treats dynamic lines, the ones resulting from muscle movement. There are 3 main areas where dynamic lines appear. The vertical lines between the brows is one of the most popular areas for Botox treatment. 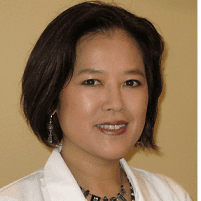 Over the years, these lines may stay in place even when a person is not frowning or angry, but Botox can relax the muscles making those lines and smooth the wrinkles away. The second common area for Botox is the brow lines. These horizontal lines tend to extend across the forehead and are most visible when a person raises their eyebrows. These lines are often very thin and fine, but they can become more deeply ingrained over time. Botox can smooth this type of wrinkle away completely. Finally, crow's feet, lines near the temples, are often treated with Botox. Crow's feet form when squinting or smiling. They become more prominent as a person ages, but it is possible to relax these muscles with Botox, and erase the wrinkles. Dermal fillers are a non-invasive solution for wrinkles, lines, or loss of facial volume. Fillers are different from Botox because they are designed to increase volume in the face. One of the most common areas for dermal filler treatment is the nasolabial folds. These folds can form deep grooves on the sides of the nose and mouth over time due to loss of natural collagen and elastin. Dermal fillers like Juvederm can be injected directly into the problem area to lift the skin up and fill the deep wrinkles in. Dermal fillers are also used for other types of cosmetic enhancement, including fuller lips and enhanced volume to cheeks or cheekbone areas.